Llandovery College pupils are celebrating winning their debate at a training workshop aimed at guiding pupils who are competing in the Oxford Union’s annual schools’ competition. The Oxford Union is the world’s most prestigious debating society with an unparalleled reputation for bringing international guests and speakers to Oxford University. Commonly known as Oxford Schools’ Debating Competition this event is the largest British Parliamentary style debating competition in the world and aims to make debating accessible to all schools. A group of College pupils took part in the training workshop: Mikha’el, Toby, Deiniol, Bronwen, Molly and Josie. At the workshop a debate coach from the Oxford University Debating Society explained the rules, gave examples and asked for volunteers for a practice debate. 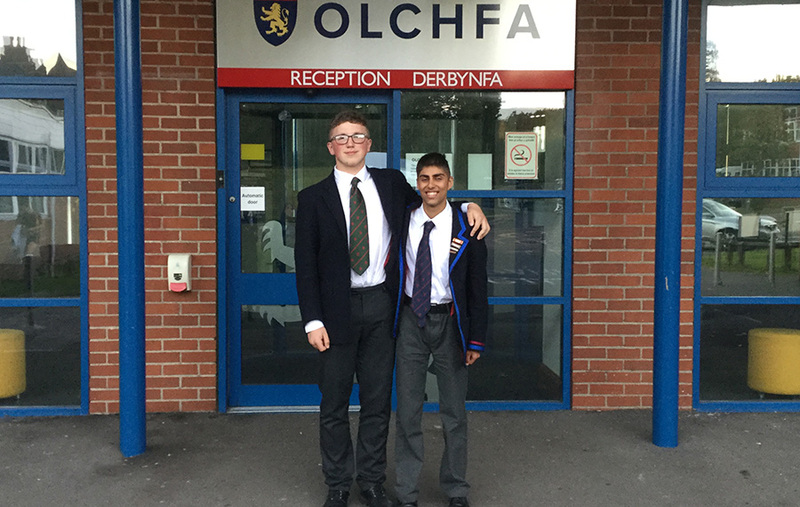 Mikha’el and Toby bravely volunteered and, following an excellent performance, they won. Over a thousand students aged from 14-18 participate every year and the competition offers our pupils an excellent opportunity to develop their skills and confidence in public speaking, thoughtful argumentation and analytical problem solving. The best teams in this competition compete in the finals at the historic Oxford Union. We wish both our teams the very best of luck with this fantastic opportunity.